Some punters may not realize that their poor sports betting habits make them miss out on highly valued bets or are draining their bankroll. Backing bets with high chances of winning or sticking to one sportsbooks are some of the mistakes made by seasoned bettors. Not reading up on what is happening to a player or team is another costly mistake that can make anyone miss out on a good market. 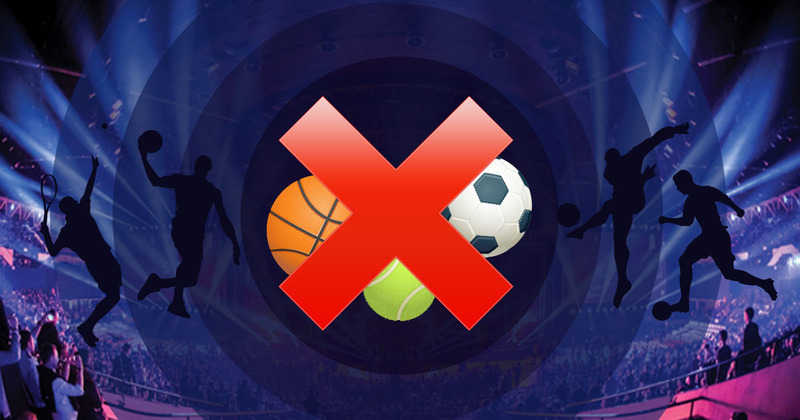 Fortunately, these bad sportsbook habits can be remedied as long as punters are aware that they are committing these mistakes. Punters who typically bet on favorites are people who are fans of the team or player. Other bettors with this habit are people who want a near guarantee of a win on their bets. The problem with the habit of picking teams or fans with odds of about 1.40 or less is punters need to win multiple markets to get more than the amount he is willing to risk. For example, bettors might place $100 on markets with 1.40 odds and will get only $40 when they win. This means that they should wager and win on three markets with the same 1.40 odds to win more than their bet amount. Losing just one or more of these markets will give them a meager amount back for their risks. Typically, there are markets in the same sport or event that has better odds of 2.00 or higher. This figure shows that punters can take double or more than what they risk in a single bet. If bettors still want to back heavy favorites, it is a good idea to browse prop bets for better markets if the money line wager odds of the team or player are 1.40 or less. For many punters, shopping for the best lines or odds is too much of a bother because they assume almost every sportsbook offers similar lines or odds for the same market. But there is often a chance that some bookmakers can be generous with the odds for a specific market. While most sportsbooks may have 2.30 odds on a money line bet, for example, some bookies give 3.10 odds or more on the same bet. Visiting three to five sportsbooks is a good idea when a specific game or match is about to come up. This allows punters to spot the best odds for a bet they want to make. Another way to find satisfying odds is to visit gaming sites that compare the odds of several sportsbooks in a single page. This way, you can compare the various odds offered on different bookies and pick which suits your preference. Successful punters keep themselves updated on what is currently happening on the sports scene. Most bettors will go through different news and social media feeds before putting their money down on a wager. Not reading up on the latest news is sure to make any punter miss out on a valuable bet. For instance, bettors might not know if a book maker’s favorite team has an injured key player for the next match or that a player achieved a hat-trick in the last two games. Knowing the latest status and conditions of all competitors for an event will allow punters to get a good grasp of a bet’s actual chance to win. By being aware of these bad habits, punters can find better bets for almost any sporting events available. Researching and knowing more about any game before placing a bet is always a good habit anyone can make when visiting any sportsbook.